Sage Farm Goat Dairy is a small, family-run farm and creamery located on 27 acres of pasture and woodland in Stowe. 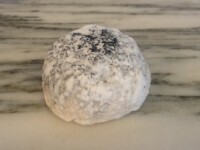 Established in 2008 by sisters Molly and Katie Pindell with help from their partners, David Wilkens and Bob Sabolefski, Sage Farm produces a variety of cheeses from the milk of our herd of registered Alpine goats. Our farm is intentionally small, as one of our primary goals is to maintain a family-run operation. We take great care in managing our herd and our land. The goats graze outdoors as long as the ground is free of deep snow. We change our paddocks daily, providing the goats with a diverse diet of fresh pasture plants and browse. In the winter months, the herd eats hay grown on our own land and from another family farm in our local area. We supplement their feed ration with organic grain. Our cheeses reflect our dedication to small-scale production. Each cheese, from ashy pyramids to smoked chèvre, is hand-ladled and carefully ripened in our own cave. We handle all of our own distribution, making sure that buyers receive cheese in the best condition possible. We participate in two local farmer’s markets and we enjoy the face-to-face interaction with our customers. Sage Farm currently sells cheese at the Stowe Farmer’s Market, the Waitsfield Farmer’s Market, the Burlington Winter Farmer’s Market, Harvest Market (Stowe), Stowe Cheese and Wine, Green Top Market (Morristown), Bedford Cheese Shop (NYC), Healthy Living Market (South Burlington), Formaggio Kitchen (Cambridge/Boston), Central Bottle Wine and Provisions (Cambridge), Joppa Fine Foods (Newburyport), and at select restaurants in our local area. Spruce is a supple, creamy, bloomy-rinded round wrapped and aged in strips of spruce bark harvested on the farm. Made in the fall and winter with a combination of goat’s and cow’s milk, and in deep winter with cow’s milk alone, Spruce has a surprisingly mellow paste with an unmistakable woodsy zing from the tannins in the spruce bark. 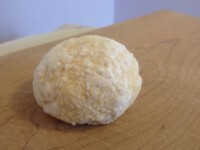 Snowball is a hand-formed ball of chévre dried down to a sec consistency. 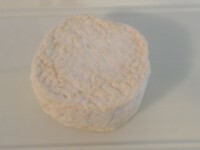 Aged 2-4 weeks, the snowball has a tannish-white geotrichum/penicillin rind and a firm, almost crumbly paste. A raw-milk offering only available during the winter months. 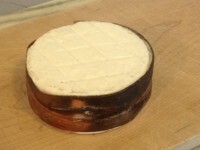 A rustic, Alpine-style tomme, Worcester is aged 3-5 months, developing a natural, earthy rind. The interior is pleasantly mild and smooth, with a little goaty kick.